Gut health plays a large role in your ability to maintain overall health, as a big percentage of your immune system is located in your gut. Because factors like stress and a poor daily diet may leave negative effects on your gastrointestinal tract, it's important to do what you can to keep it healthy and functioning correctly. 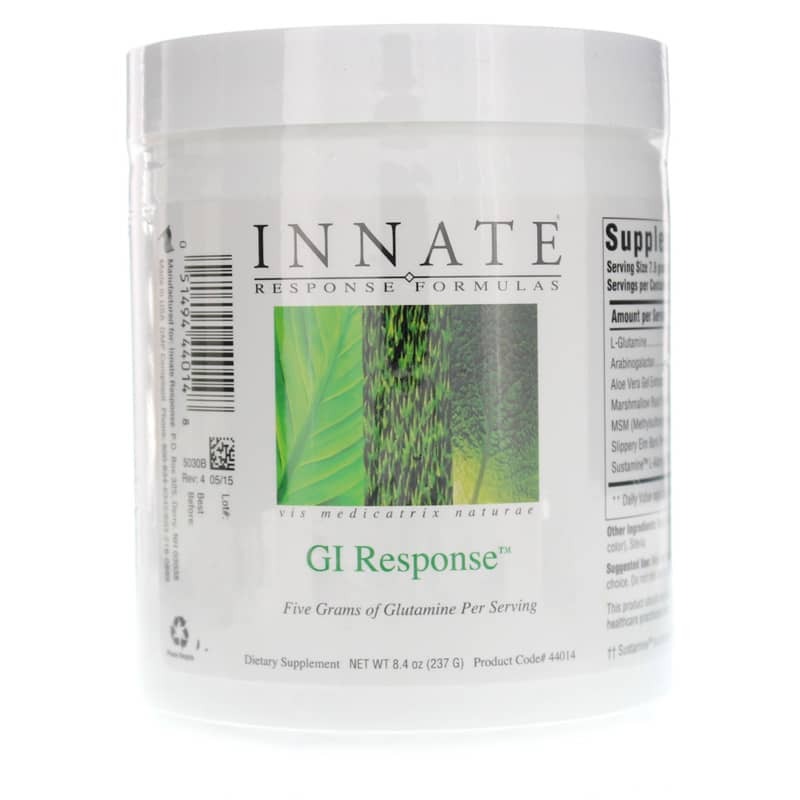 GI Response from Innate Response Formulas is a daily dietary supplement that contains a blend of ingredients that help support and maintain gastrointestinal health and wellness. 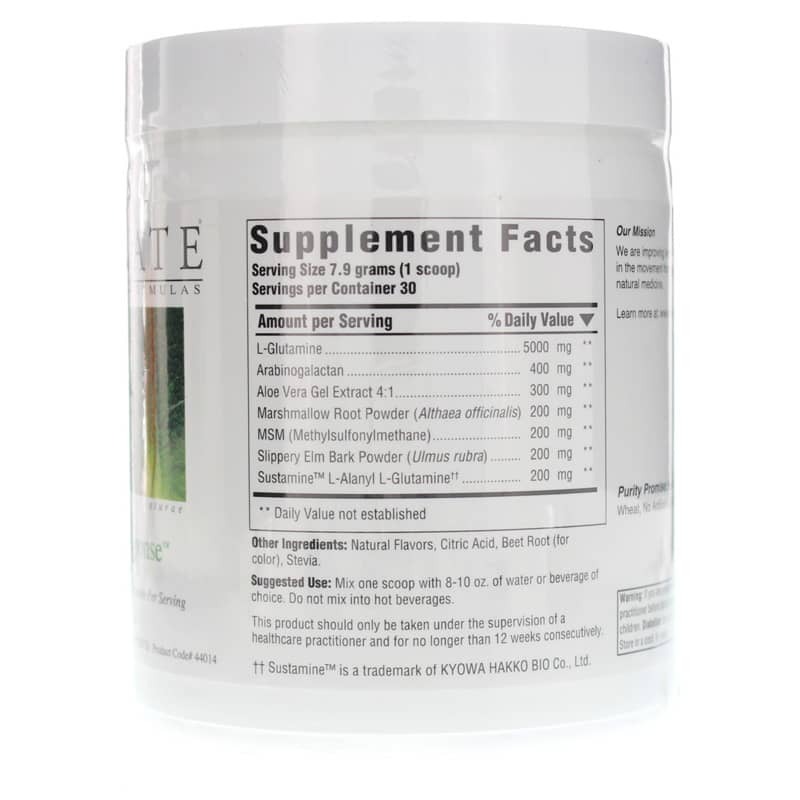 Every batch of this product is made without the use of magnesium stearate, wheat, or artificial colors or preservatives. 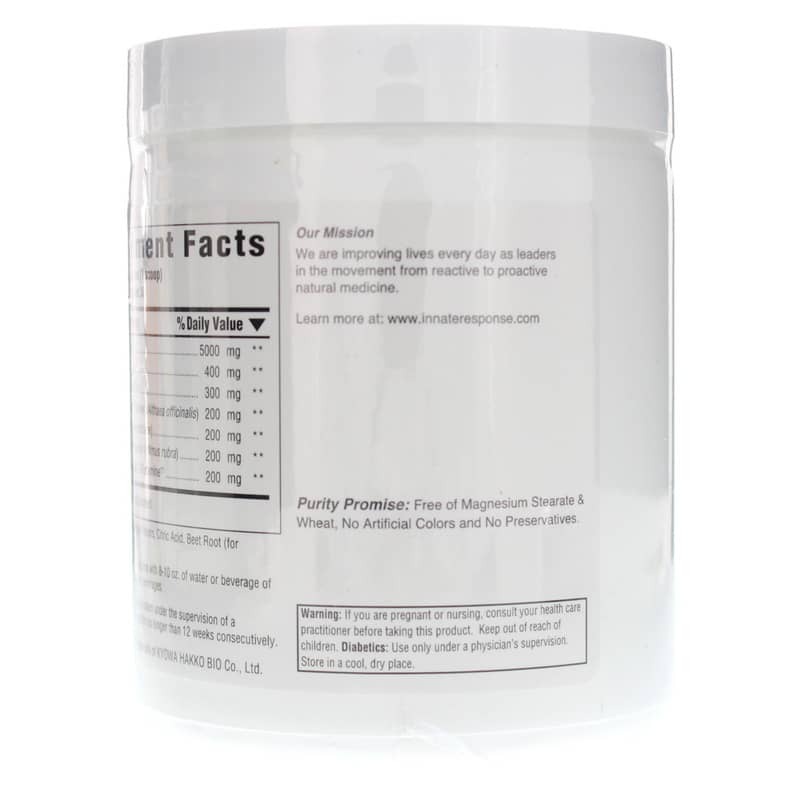 It comes in a convenient powdered form that is easily mixable with eight ounces of water or other beverage. Just one scoop every day may help you stay on the road toward optimal gastrointestinal health and wellness. Other Ingredients: natural flavors, citric acid, beet root (for color), stevia. Adults: Mix one scoop with 8 to 10 ounces of water or beverage of choice. do not mix into hot beverages. This product should only be taken under the supervision of a healthcare practitioner and for no longer than 12 weeks consecutively. If you are pregnant or nursing, please consult your healthcare professional before using this product. Keep out of the reach of children. Diabetics: Use only under a physician's supervision.